Google bought Zagat about seven years ago, but it let the company go earlier this year after basically ignoring it. Such sales often involve purchasers that only want a company's brand, but Zagat appears to be chugging along. There's even a newly refurbished Android app today. This is the first significant update to the Zagat app in almost four years, which was early in the Material era. Here's the changelog. 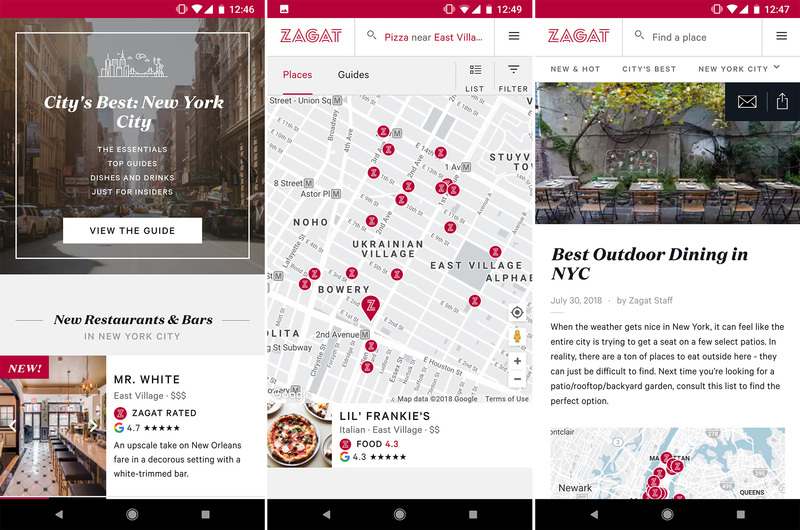 Zagat app gets a complete UI overhaul in latest update was written by the awesome team at Android Police.